While your business may not achieve the name recognition that McDonald’s and Google enjoy, you should not ignore the value of protecting your brand. Your brand is important. It gives your customers valuable information about the values and mission of your business. And it ultimately helps to create a sense of community and belonging, one that entices prospects and develops repeat business and loyal customers. The first step in protecting your brand is to develop a consistent message about your company’s products and/or services. Successful businesses focus on what they do best and then use that message to build consistency. So what’s your business brand? What differentiates you from your competition? Is it high-value products delivered with unmatched customer service? Or is it high-value services attainable at a lower cost? That message should remain consistent throughout all of your marketing efforts. With brand identity in place, protecting that brand is the next step. 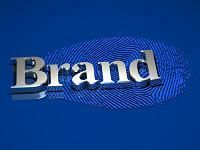 One of the easiest and lowest-cost ways to accomplish this goal is to set up a company branded marketing program. You have to be consistent with using it for all transactions, across the board, with all your salespeople. Implement a prospecting program as well as a customer follow-up program from the corporate level. And that will help you grow your business. Check out Continuity Programs’ turnkey company branded marketing solutions. We offer competitive cross-media programs designed to generate leads, increase customer loyalty, cross-sell and pull referrals from your satisfied customers. Protecting your brand makes sense. After all, you’ve put your time and money into building a company that will not only support you and your family, but also stimulate the local economy and provide employment. Guarantee that investment with tools from Continuity Programs. Call us for more information.